Linen Centers | Dream World Design, Inc.
Dream World Design, Inc. Over 36 Years in Business Manufacturing Custom Linens and Textiles. 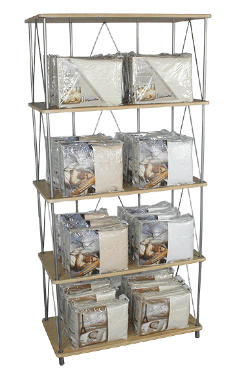 Your Factory Direct Resource for ALL your Bedding Needs. Increase your profit in only two square feet of floor space! Sheet Sets: Customize your own Linen Center with your choice of Thread Counts, Colors and Depths. Mattress Pads: See our Mattress Pad page for Styles and Depths. Close more premium bedding sales. Overcome customer rejection to thicker premium mattresses. Add an easy add-on sales with great bottom line profits. Keep the linen sale in your store. Create a cusomized linen center for your bedding floor. Click here to see all of our luxurious thread counts and colors. Copyright 2014 Dream World Design, Inc. All Rights Reserved.